English and Swahili are the official languages of Uganda. Uganda is a multilingual country in East Africa. There are forty living native languages in Uganda, which can be grouped into three main language families: Bantu, Central Sudanic, and Nilotic. Two additional languages spoken in the country come from the Kuliak language family. English was adopted during the country's colonial, and it remains an official language. Swahili, which has regional significance, is also an official and has also been adopted by the nation. English is spoken mostly by literate Ugandans, and was introduced in the colony through education, missionary work, and government. Upon gaining independence, Uganda retained English in its official status, as it was deeply entrenched in the education system, government, and media. The country's ethnolinguistic diversity further made it hard to settle on one official language. The English dialect spoken in Uganda is sometimes called Uglish or Ugandan English, and a rich local flavor characterizes the language. The language is strongly influenced by native languages and speakers in Uganda always alter non-native words so that they sound more euphonic. Today, English in Uganda is prominently spoken in the spheres of government, education, and politics. There was a need to give a native language official status, and Swahili and Luganda were identified as potential candidates. The Swahili language is foreign, so it was deemed to be neutral, and in 2005 it was proposed to be Uganda's second official language. The spread of Swahili within the country was facilitated by the country's participation in the East African Community, which involves its Swahili-speaking neighbors of Kenya and Tanzania. Uganda's language policy directs its use in schools, although most institutions do not meet this requirement. The Luganda language has more than 4 million speakers in Uganda, in addition to non-native speakers. The language falls in the greater Niger-Congo language family. It is primarily spoken in the Buganda region, which sits in Central Uganda, and includes the capital of Kampala. After independence, Luganda was the most extensively used language, but other ethnic groups were opposed to it being given official status, while the Baganda were concerned that other people's grammar errors, coupled with mispronunciations, would ruin their language. Luganda was used as the official language of instruction in Eastern Uganda's primary schools until the 1960s. Currently, Luganda is the country's most spoken local language, and as a second language, it is second to English, and it precedes Swahili. Uganda is home to numerous other Bantu communities apart from the Baganda. Bantu languages in the country include: Nyoro, used by the Banyoro; Tooro, used by the Tooro people; Runyankole, used by the Nkore community; Rukiga, heard among the Kiga people; and Lunyole, used by the Banyole people. Several Western Nilotic Luo languages are used in the eastern part of Uganda, such as Lango, Alur, Kuman, Acholi, and Adhola. The Eastern Nilotic languages include Teso, Karamojong, and Bari. The Eastern Sudanic languages used in Uganda are Soo, Pokot, Kuliak languages, and Elgon. The languages Ndo, Lugbara, Ma'di, and Aringa are Central Sudanic languages. 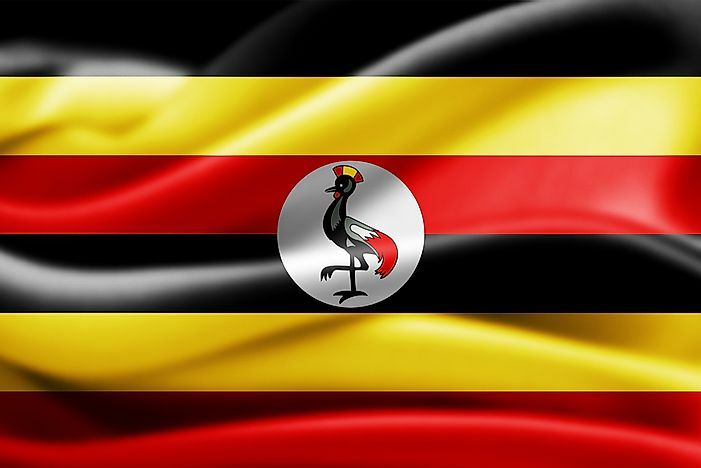 In 1995, Uganda became the world's second nation to include sign language in its constitution. The Ugandan Sign Language is used by Ugandan deaf communities, although its knowledge is mostly limited to urban localities. The language was influenced by Kenyan Sign Language, as well as American and British Sign Languages.